The Little Theatre Cinema was built in 1934-35 by Conseulo de Reyes and her stage designer husband Peter King. 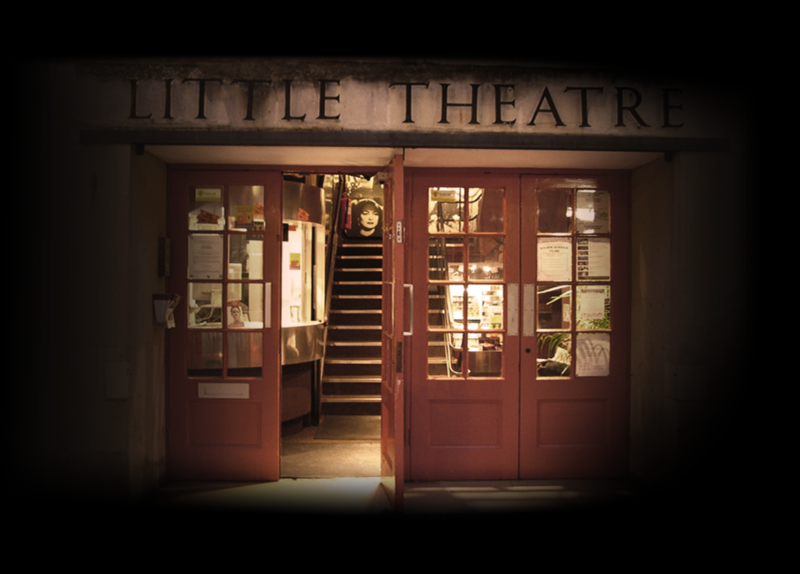 The earlier ’Little Theatre’ was based next door in Citizen House and was used for experimental theatre, which brought in students from all over the world. With their new design‘The ’Little Theatre’ was to function as both theatre and cinema. In addition to the main auditorium, there was a roof garden theatre, tea and coffee lounge and access to dressing rooms in the adjacent building. The Little Theatre Cinema we know today opened in 1936, programmes were changed twice a week and lasted only an hour. Feature films were first introduced in 1939 and in 1979 the Little’s storage room and lounge were converted into what is now the screen 2 auditorium. Many upgrades have taken place in the cinema, but were carefully carried out to retain the theme of the original decor. The Little now offers top of the range sound in both screens and some of the best digital projection equipment in the country. King, the daughter of the original owners, is still very much involved with the cinema today.